Chelsea’s good news regarding the Eden Hazard transfer situation looks set to continue as Real Madrid are reportedly looking at Marco Reus as an alternative. The Borussia Dortmund attacking midfielder looks back to his best after putting his injury troubles behind him, and Don Balon claim Florentino Perez is now interested in a potential move. The report states Real may find moves for the likes of Hazard and Neymar too expensive as their clubs don’t look keen to sell for anything other than ‘astronomical’ money, whereas Reus would likely be available for just £70million. 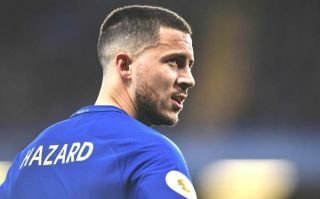 This also follows the development that Hazard looks ready to snub Madrid and sign a new big-money contract at Stamford Bridge, according to Gazzetta dello Sport, as translated by the Metro. The Belgium international has been a vital performer for the Blues in recent times and they’ll be absolutely delighted if they can keep hold of him. Reus, however, could be a fine alternative for Los Blancos, with the Germany international long regarded as one of the top players in Europe before his various fitness struggles in recent times. It remains to be seen if the player, who seems so committed to Dortmund, would take up an offer to leave for the Bernabeu, but Real have a history of getting the big names they want.